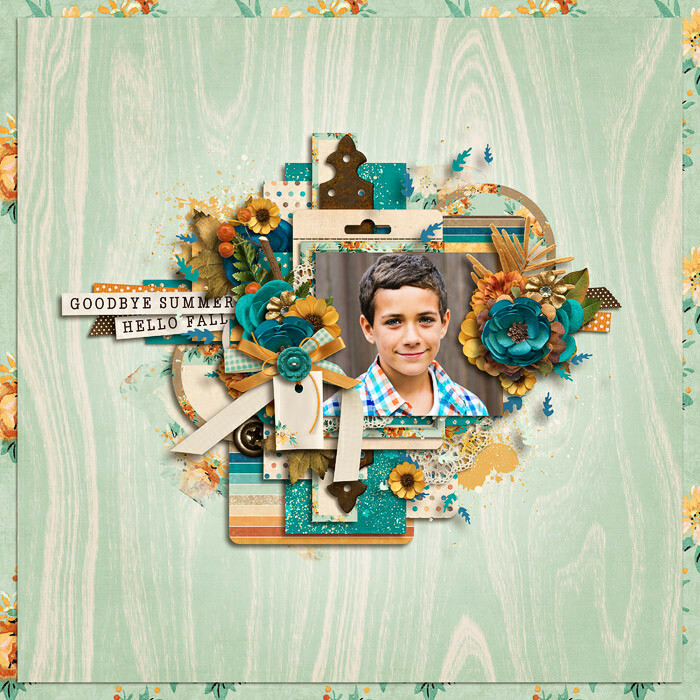 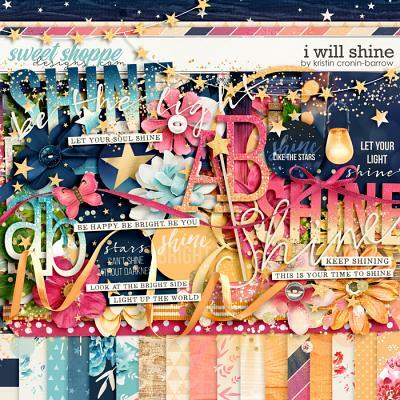 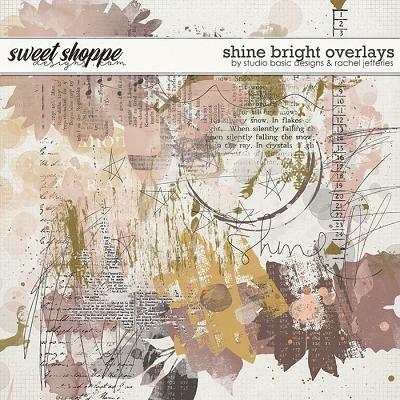 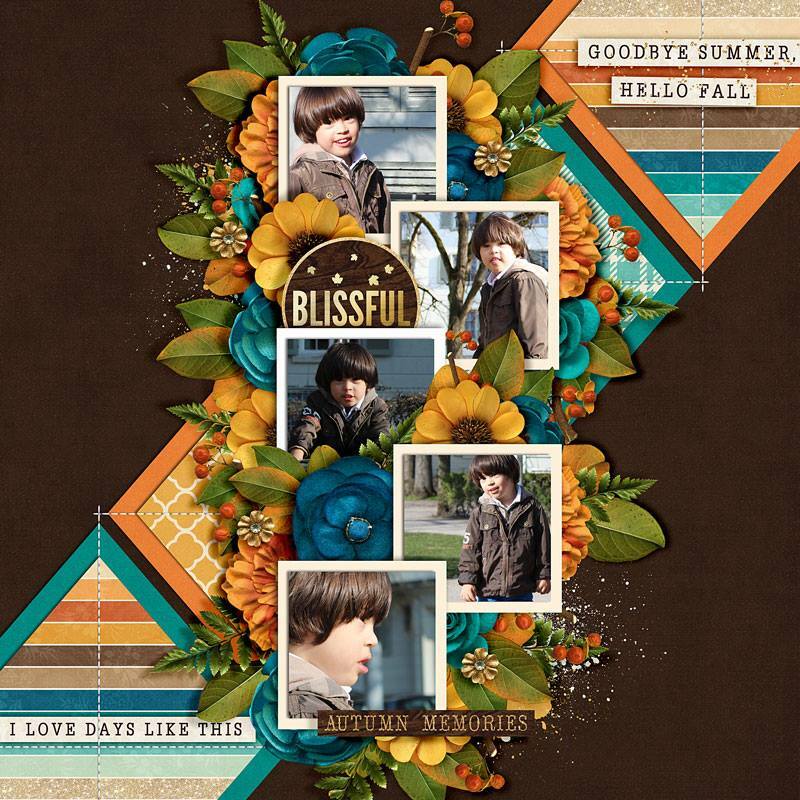 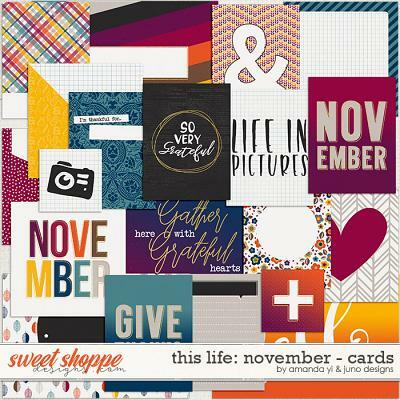 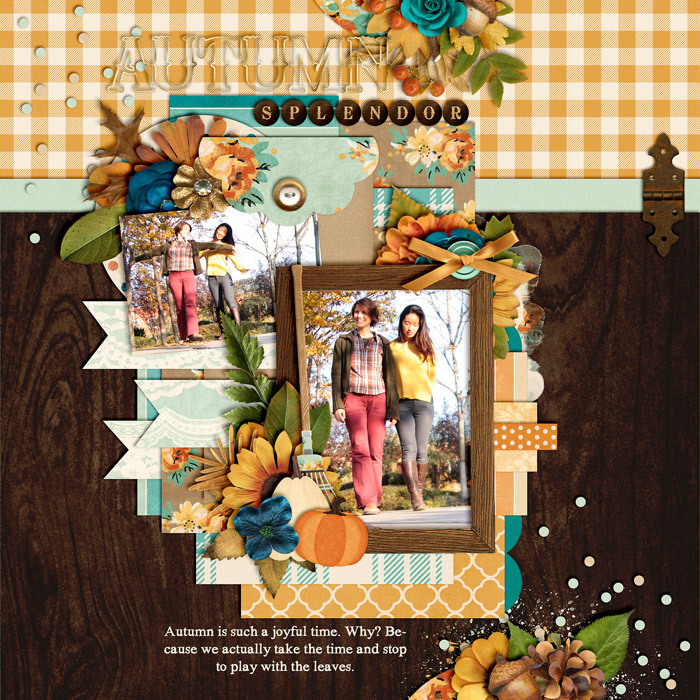 A digital scrapbook kit by Kristin Cronin-Barrow, Blissful Autumn Days. 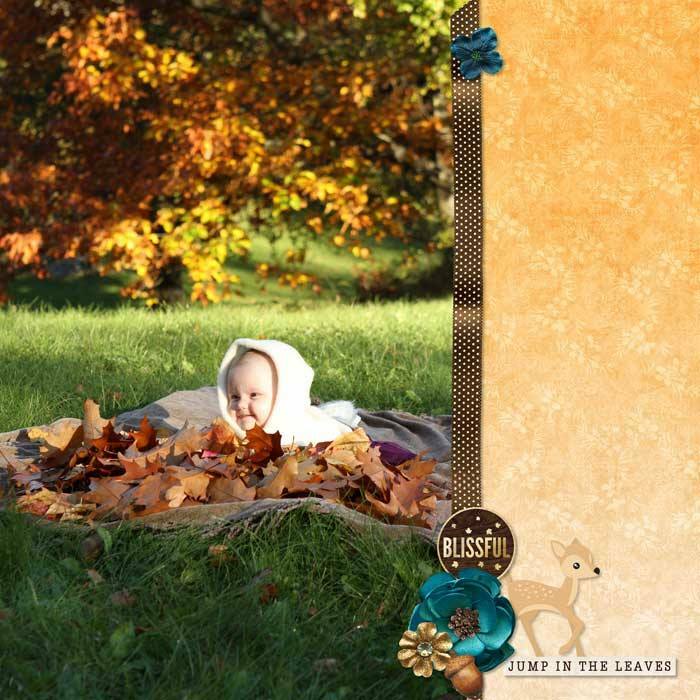 Cool, crisp morning breezes which turn into warm, sunny afternoons—some of us think those are the best days of the year! 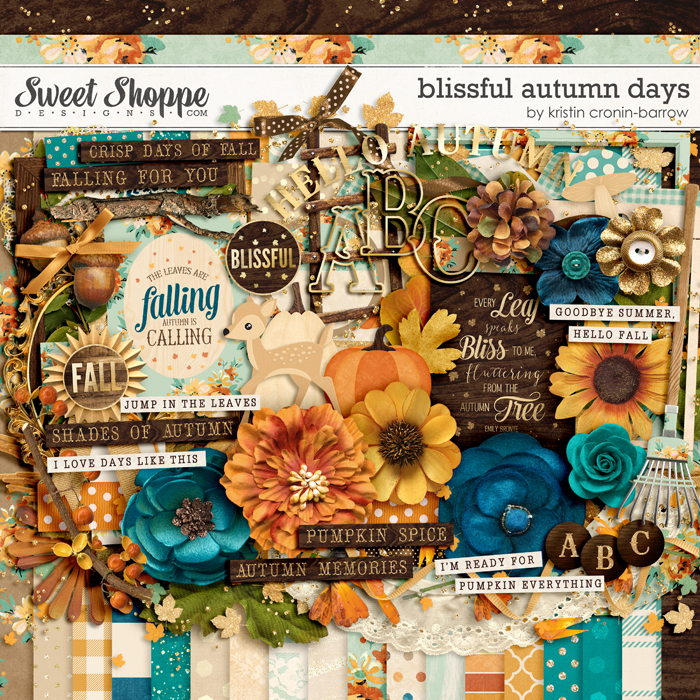 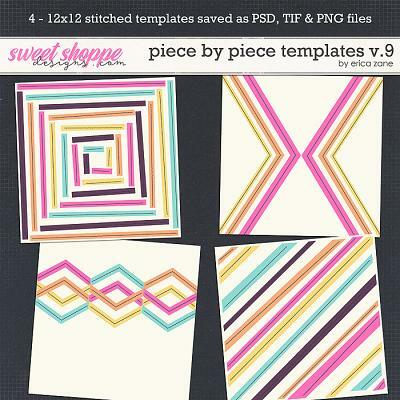 If you love autumn, you need to add this new kit to your scrapping stash now! 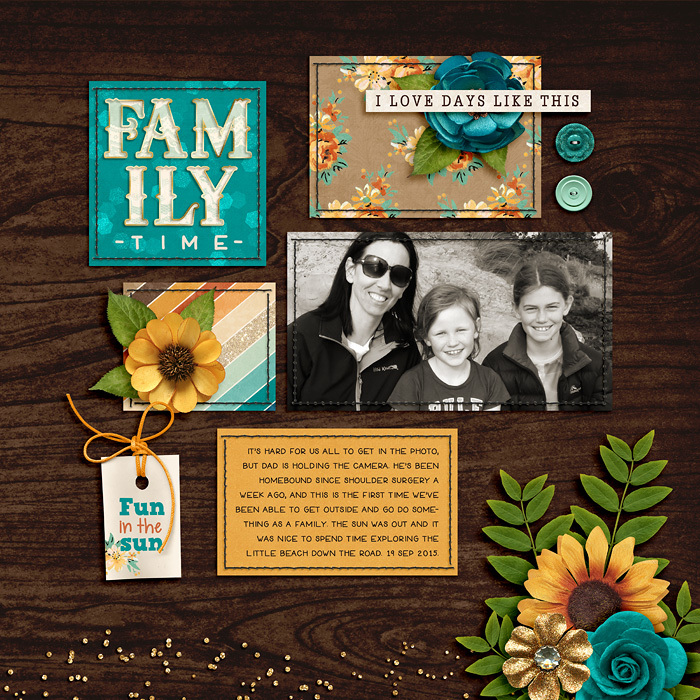 The color palette is so lovely because deep golds and dark turquoise are held together with brown and wood grain. 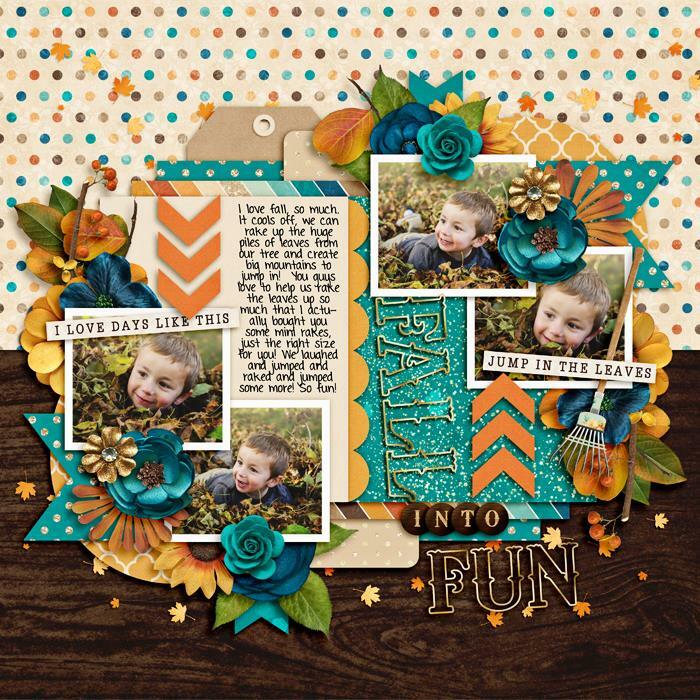 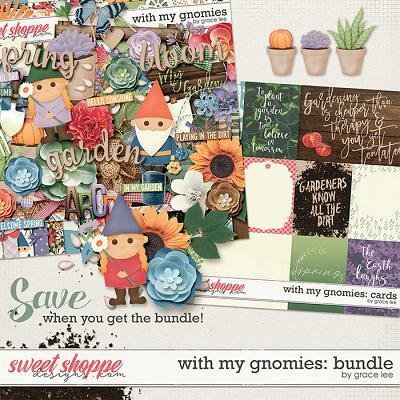 You'll be delighted with how those papers compliment the elements perfectly: acorns, metal pieces, an adorable fawn, lots of leaves and flowers, word art, pumpkins, a rake and more. Don't miss out...autumn doesn't last forever!